And, voila! 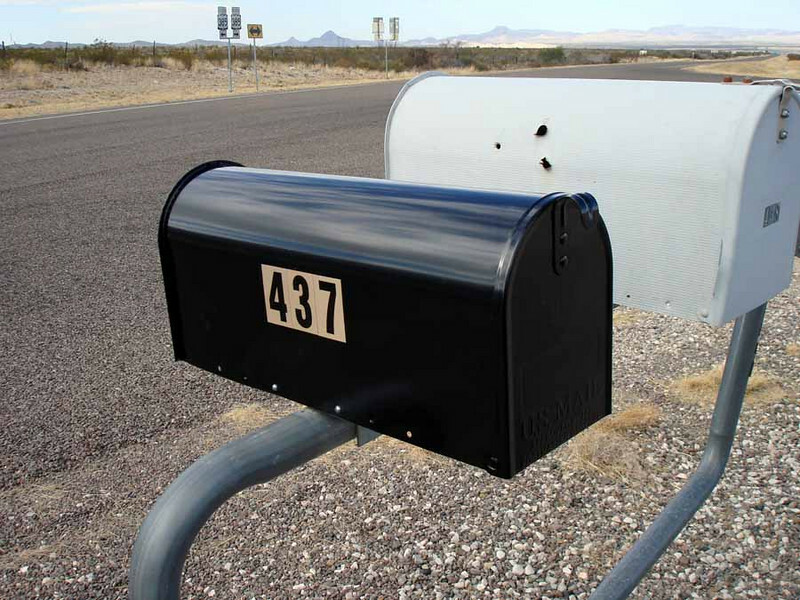 We have a nice, new, shiny mailbox, all ready for business. Pretty nice, huh? Notice the bulletholes in Box 438, no doubt what brought about the ultimate demise of the old plastic Box 437. With any luck, that kind of malarkey is over and done with, but you never know about bored and drunk cowpokes.